…and sometimes you win twice. Yesterday was a phenomenal day in nyc. I started at 545 am with a slow trudge through morning routine and a brisk hike to the park to set up for the morning. I will admit I got lost. I could not find the location I had picked the night before. After a 15 wonder through the southern end of central park I found the location. After watching the early morning light peak over the tops of the buildings I soon realized that the sun was much further north on the horizon than I had anticipated. I quickly repositioned and shot a number of shots which were better than I had hoped based on the light. After half an hour I decided to wander. I was rewarded with more scenic well lit and picturesque scenes than I could have imagined in the dark the night before. Win 1. 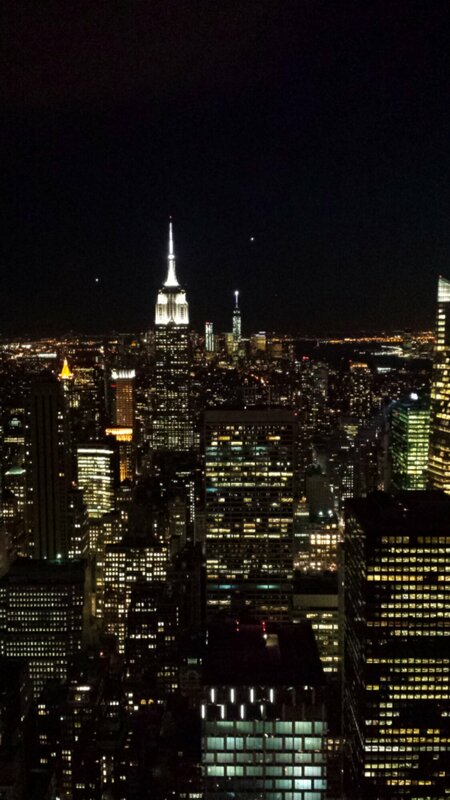 Win 2 came almost 12 hours later when we ascended 68 floors to the top of the rock observation deck. While disappointed that the view of the chrysler building was skewed from our vantage point the views were still breathtaking. We arrived at the perfect time. The sun was going down and the sky was clear. I could not have asked for a better photo shooting day. I am posting a sample from my smartphone, but I promise once I get bavk to Canada I will share the edited images from my d800e. An excellent plan came together and I had the chance to marvel at the work of man and of God simultaneously. What a rewarding day and I now have the photos to share the experience with family friends and many others who have loved the experience and this city. 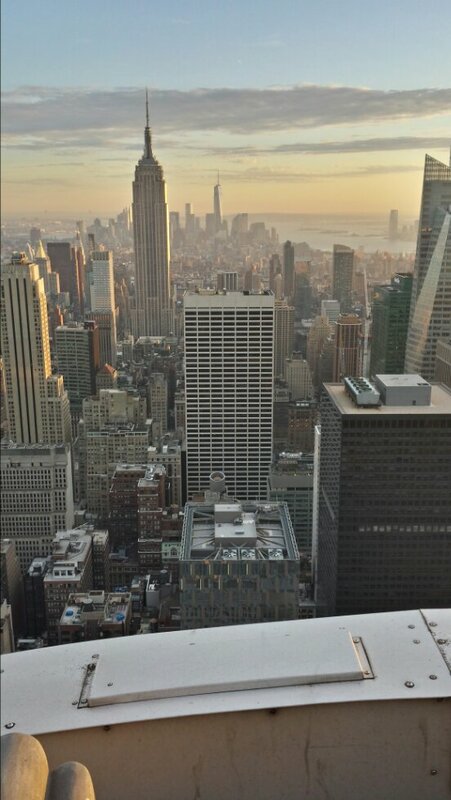 This entry was posted in 2014 Photo Project, Photos, Planning, setup and tagged 30 rock, empire state building, new york, nyc, Rockefeller, top of the rock. Bookmark the permalink.